Pets Slots Available At Vegas Spins | Play Now! Play the cuddly Pets slots at Vegas Spins today! Enjoy a fun filled game tailored with great bonus features to get you on a winning streak! Pariplay has launched a game full of dynamic colours and regal colours! 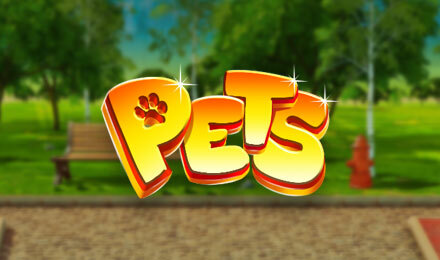 Pets slots brings all your favourite animals together on a 5 reels and 40 paylines video slot game! The slots include animals like turtles, hamsters, fish, dogs, rabbits, cats and birds, along with the Wild Symbols and Bonus symbol. Features in the game are: sticky wilds, free spins, expanding wilds and great bonus rounds that will keep you entertained for hours! The setting of the game is cute and bright and enhances the mood and gameplay wholly!